electro-music.com :: View topic - XT => AT conversion for keyboards? XT => AT conversion for keyboards? Posted: Sun Dec 16, 2007 6:06 am Post subject: XT => AT conversion for keyboards? 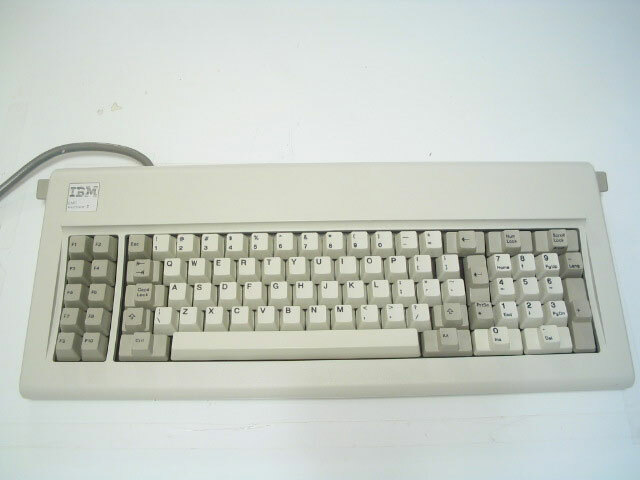 Found a IBM "Model F" keyboard that makes the infamous "Moldel M" look and feel positively lightweight and cheap. The problem is that these output a XT keyboard format which is entirely different from "modern" (post 84) keyboard data so I'd like a converter. Anybody know how/where to get one? I've only ever seen one adapter, and I think it went the other way. Oh, to use newer keyboards on older computers? I wonder about the dimensions of the matrix, maybe I could simply put in a modern encoder. I've used adapters for this type of conversion, that were 5 pin din female to mini din male (kind of cylindrical). These will only convert the physical connectors not the signal format. If I recall, some operating systems may have a setting to use older keyboards, might even be a setting in the bios as well. Yeah, the adapter for the physical plug is easy but the anatomy of the signal itself is quite different. I did some reading and I think somebody blew a motherboard trying to simply plug it in. That might be a different issue though as I also know hotswapping a Model M can lead to issues as the current they draw can be a bit higher then modern keyboards for some reason and this can fry a little fuse (no big deal). Maybe I'll be in luck and it's possible to swap out the encoder. I think I read somewhere the keyboard side of the encoders didn't change and everybody else based theirs on IBM's design so that could actually even fly. kassen, i think i read some things about interfacing these with printer ports for use in linux. a little googling will find stuff. Those Model F keyboards are worth quite a bit of money nowadays, may be worth just selling the thing. Yes! I saw one online on a specialised site for 85 or so $. Deknow; I think I saw that, yes, but it sounded like a bit of a fragile system to me. that would probably rule out bios editing as well as editing if/when the system gets in some unstable state and needs fixing before it has a chance to load that driver. The function keys on the left where always a great idea, the person that came up with the idea of moving them needs shooting. Thinking about it I may even have one sitting in the computer graveyard in the loft, I would be interested in if you get it working. Hmmmmm, I did some more searching online and converters aren't to be found. Then I screwed the thing open to see what was going on inside and discovered a rather ugly amount of damage to the chord where it enters the keyboard. That's a bit too much for me, especially as the whole matrix is completely unlabelled, I'm not going to sort that out, it's not *that* much better then a Model M.
Oh, well, now I have spare keys and springs as those are interchangeable and I'll keep my eyes open for a AT Model F.